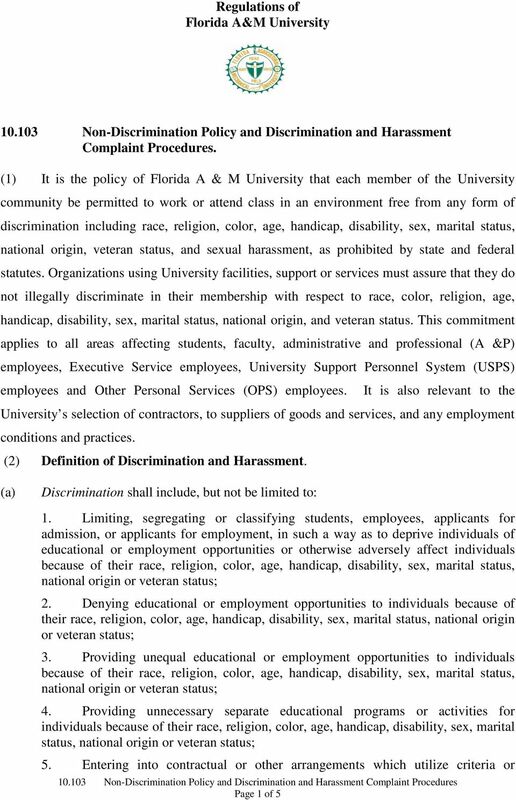 Regulations of Florida A&M University Non-Discrimination Policy and Discrimination and Harassment Complaint Procedures. 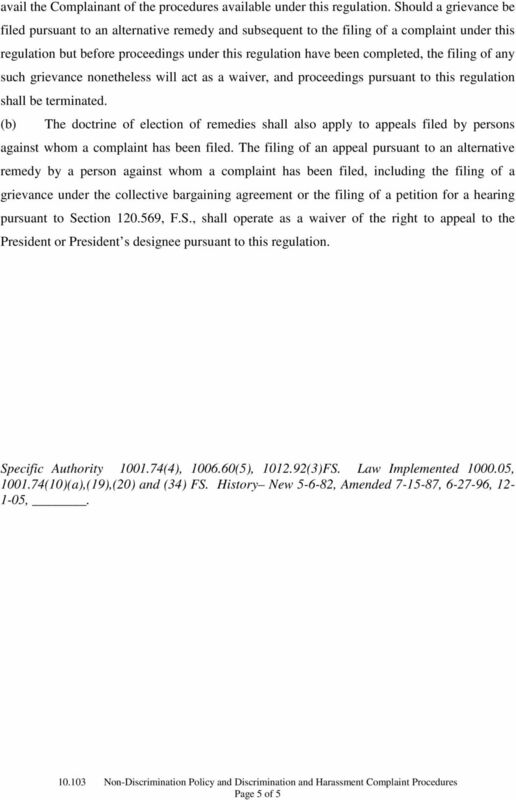 Download "Regulations of Florida A&M University. 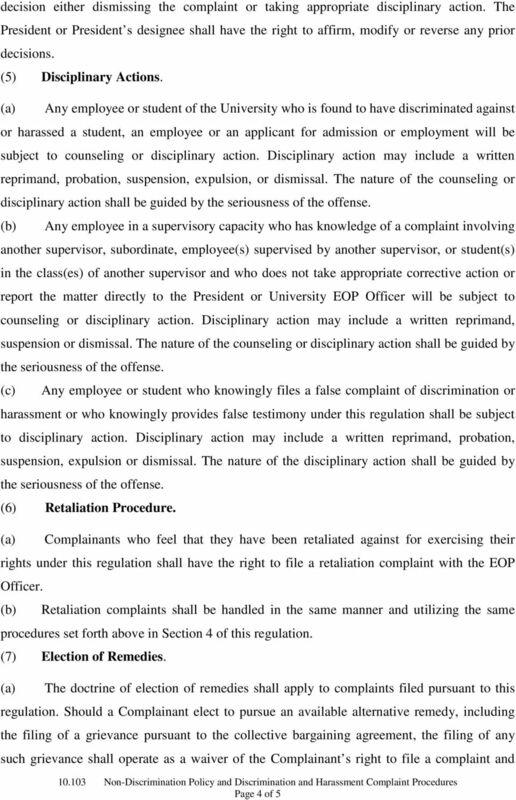 10.103 Non-Discrimination Policy and Discrimination and Harassment Complaint Procedures." 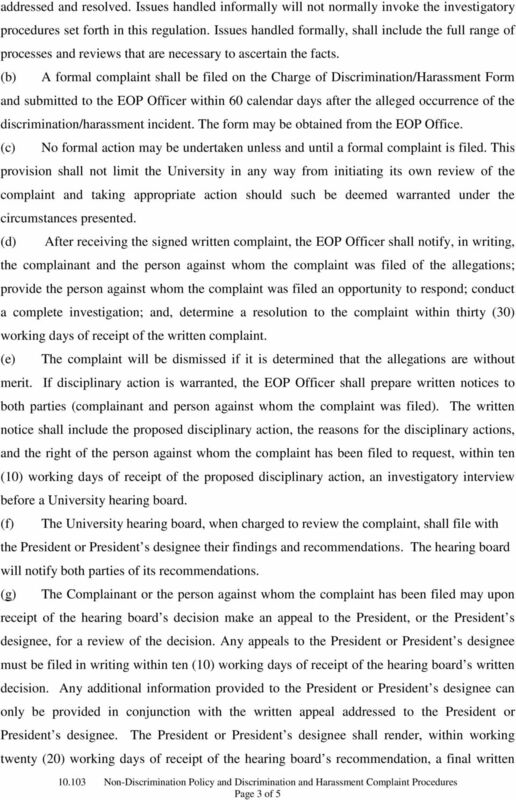 c) She alleged that the hostile environment created by the sexual and disability-based harassment culminated with her dismissal from the Program.